In a documentary released by the camp of senatorial candidate Neri Colmenares, fishermen from Masinloc, Zambales narrate how Chinese Coast Guard personnel have been harassing them in Scarborough Shoal in the West Philippine Sea. MANILA, Philippines — The Philippine government would definitely protest the actions of Chinese Coast Guard personnel in the West Philippine Sea if there was proof, Malacañang said Monday. 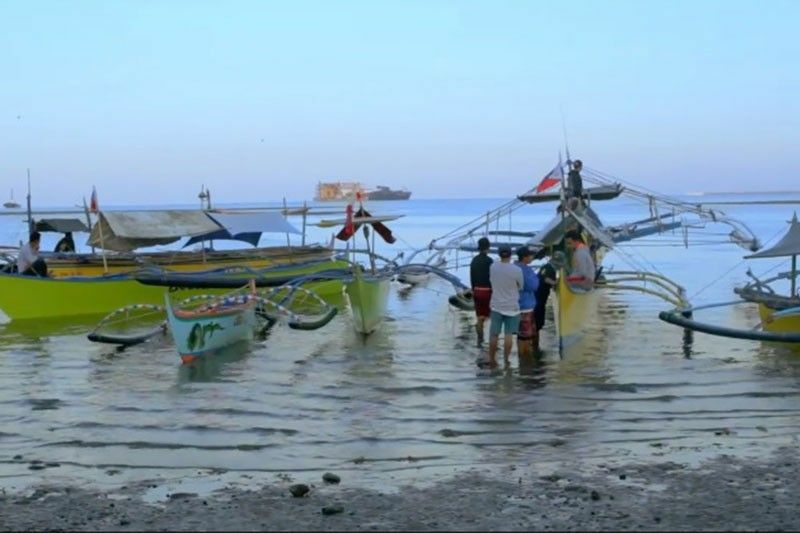 Over the weekend, the camp of senatorial bet Neri Colmenares released a video documentary detailing the experiences of Filipino fishermen in Scarborough or Panatag Shoal, a traditional fishing ground off the coast of Zambales. In the six-minute video, fishermen from Masinloc, Zambales narrated how the Chinese Coast Guard would seize their catch and shoo them away from the area. The municipality of Masinloc has territorial jurisdiction over Scarborough Shoal, which is also called Bajo de Masinloc. Presidential spokesperson Salvador Panelo said if this was true, the government would not allow it to happen. "They have to show proof that is being done now again because if it's being done, certainly we will protest. We will not allow our countrymen to be subjected to that kind of harassment," Panelo said in a press briefing. The Malacañang spokesman added that as far as he knows, there has been no reported incident of Chinese nationals driving away Filipino fishermen in Philippine waters. Panelo added that Philippine Coast Guard personnel, who have been patrolling the area, said there have been no incidents of harassment. "They should not be touched or harassed," Panelo said. While the Duterte administration continues to ask for proof despite several reports from Filipino fishermen themselves that they have been experiencing harassment from the Chinese, a militant fisherfolk group appealed to the government to protest such actions. Fisherfolk group Pambansang Kilusang Mamamalakaya ng Pilipinas (Pamalakaya) pointed out that after denying access to sandbars near Pag-asa Island, the Chinese are now back to bullying Filipino fishermen in Scarborough Shoal. Pag-asa Island is under the jurisdiction of the municipality of Kalayaan in Palawan province while Scarborough Shoal is under Zambales. "This is clearly a concerted effort of the Chinese government to put a blockade against Filipino fishers in our traditional waters," Pamakalaya chairperson Fernando Hicap said in a statement.